And Then There Were None seeks to love abortion workers out of the industry and into a new job and a new life, full of hope found through healing. When the Pro-Life Movement first began out of necessity because of the Roe v. Wade ruling, the nascent movement began a journey of sorts. In seeking to stand for life, the movement itself had to learn how to define just what it meant to be “pro-life.” This definition began as “baby-centric.” Being pro-life meant wanting to save the baby in danger of abortion at almost all costs. Too often the mother was considered the “enemy” of the pro-life cause, and the people who worked in the abortion clinics were regarded as evil incarnate. As the Pro-Life Movement began to mature, coalesce, and find its voice, it became understood that a woman considering an abortion is not the enemy, rather, she is all too often another victim of the abortion culture. And so “Love Them Both” became the new pro-life tagline. This was an important step for the Pro-Life Movement and with it came a slew of new initiatives that sought to help the mother considering abortion; initiatives to help and empower the mother, save the baby, and love them both. This new pro-life approach shifted the blame and the “enemy” moniker to the abortion industry workers. THEY were the real enemy. 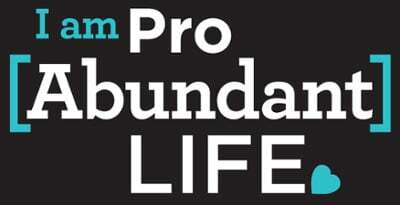 Now, thanks to a relatively new ministry within the pro-life movement there is a bold tagline emerging: Love them ALL and Love them OUT. And Then There Were None is a ministry that seeks to love abortion workers out of the industry and into a new job and a new life, full of hope found through healing. This ministry does not consider abortion industry workers to be the enemy; rather, taking a radical pro-life approach, the ministry regards the life of the abortion industry workers to be just as worthy of love as that of the baby in danger of abortion. “For our struggle is not with flesh and blood but with the principalities, with the powers, with the world rulers of this present darkness, with the evil spirits in the heavens” (Eph 6:12). I am a Client Manager for And Then There Were None. It is by far one of the most fulfilling, challenging, and beautiful “jobs” that I have ever had. I say “job” because I cannot think of it as a job – it’s more than that. It is a calling, a chance to extend the radical Mercy of God to another person in a dramatic way. A life-changing way. In the short amount of time that And There Were None has existed, we have helped over 430 abortion industry workers leave their jobs. This includes 7 full-time abortion doctors. 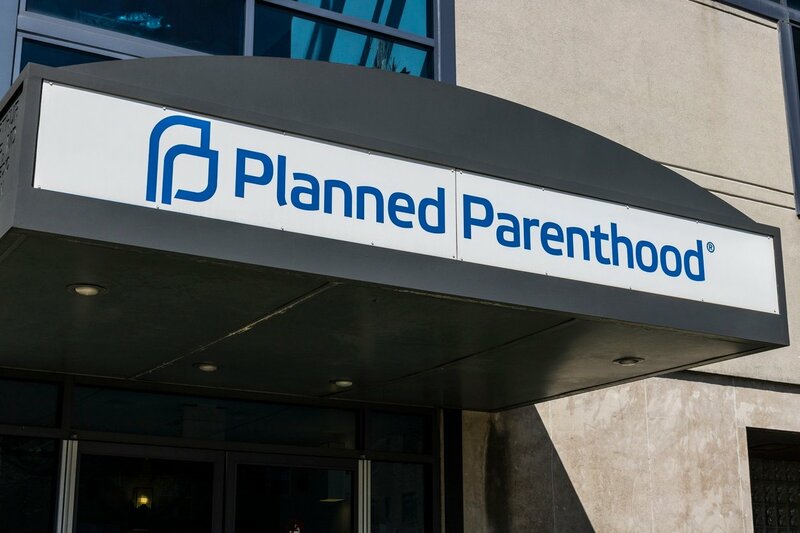 We have seen abortion clinics close because their staff quit! We offer free resume writing assistance from a professional resume writer and editor to all our clients! We help with their job searches and explore ways that they can support themselves after quitting. We also provide limited financial resources to help them stay on their feet after leaving their job in the abortion industry. And Then There Were None believes it is important to help the former workers, affectionately referred to by our staff as “Quitters,” meet their practical needs as well their emotional and spiritual needs. Once a Quitter is back on their feet, it is not uncommon for the hard work of healing to really begin. This is where And Then There Were None really shines. Every year we offer several healing retreats exclusively for our clients. These retreats are completely paid for by generous donors to the ministry, removing all financial concerns from our clients who want to attend. These intense weekends are unique because they allow former industry workers, nurses, technicians, call center employees, security guards, and researchers who come through our ministry a chance to be with others who truly understand what it was like to work in an abortion clinic or in a job that directly supported the abortion industry. In addition to our healing retreats, each Quitter is assigned to a Client Manager. This is my role. Each client manager introduces herself to her client after being contacted by our intake coordinator. Client managers maintain regular contact with their clients, but at their clients’ comfort level. Some clients like to have a lot of very hands-on, frequent communication and others prefer to communicate less often. I like to tell my clients that as their client manager, I am all at once their friend, advocate, support, and mentor. I let them know that I am available to them in any and all circumstances, that I desire a relationship with them – no strings attached. All we ask of our clients is that they let us love them. They are never expected to speak out, go public, pay us back, or even stay in touch with us if they don’t want to (though we love it when they do!). What we have found is that by taking the approach of unconditional love, many of our clients DO stay in touch with us, long after they are settled in with a new job and new hope through healing. Not only that, they find themselves, of their own free will, wanting to give back to the ministry in some way. Just recently some of our clients who have experienced significant healing and who have been with And Then There Were None for a few years, have begun speaking out against the very industry that led them to us. They found their voices through their healing. We are so very proud of them, and all of our “Quitters” who make the brave choice to leave their jobs in the abortion industry. Over the years we have developed close relationships within the Pro-Life Movement with organizations and individuals who understand the importance of reaching out to Abortion Industry Workers. We have even developed resources and materials that are available to that end. One such resource that is available to Pregnancy Centers is what we call our PRC Care Packet. These packets are available at no cost to any Pregnancy Center and they contain a letter from Abby Johnson, the founder of And Then There Were None, to the staff explaining the purpose of the packet along with some basic privacy guidelines to best help the Pregnancy Center’s staff know how to assist and interact with a local abortion industry worker. The packets also contain a gift for the worker with And Then There Were None’s information, so they can be directly connected to our ministry. We make these available because we have had many workers come to our ministry through Pregnancy Centers, and we have found it is important for the centers’ volunteers and staff to feel that they are prepared if an abortion industry worker comes to them asking for help! We also have additional free resources available to download from our website. We have a small staff, but what we may lack in manpower, we make up for in heart. We believe in the power of love. Love is what wins in the end. It is what we want our clients to feel more than anything when they come to us – that they are worthy of being loved, that they are not what they have done, and they are a child of God with infinite worth. For us, being pro-life isn’t about just loving the baby in danger of abortion, or loving the mother and father contemplating abortion, it is about recognizing the dignity, the worth, and the value of each and every person. Yes, even those working in the abortion industry. No one is beyond God’s Mercy, no one is beyond Redemption. For those of us blessed enough to be a part of And Then There Were None, we get to put this reality into practice every day. What could be more pro-life than that? About the guest blogger: Laura is a wife, mother, and the wearer of many hats. She is a Client Manager for And Then There Were None, Vice Chair of the Guiding Star Project, and a Birth and Bereavement Doula for her ministry FiLumena Birth and Bereavement. When she isn’t wearing one of her hats she can be found kayaking, crocheting or playing with her kids and her cats in the Shenandoah Valley of Virginia.